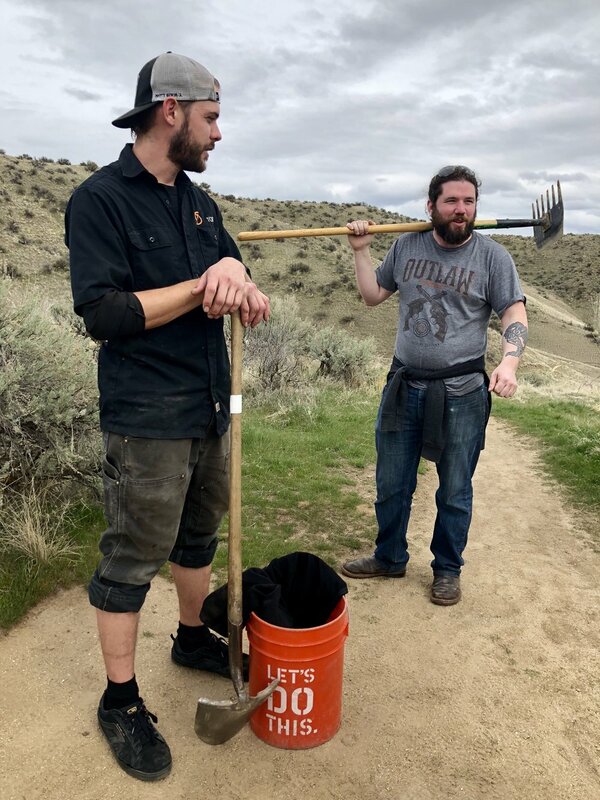 Last week, with the Ridge to Rivers Trail Crew staff, 15 Payette Brewing employees headed out the Foothills for an afternoon of trail maintenance with buckets, shovels and McLeods in tow. Ridge to Rivers staff members Sam and Matt spent a few hours with our crew teaching us how to repair the trail damage, why the damage occurs and more about the history of the trails. 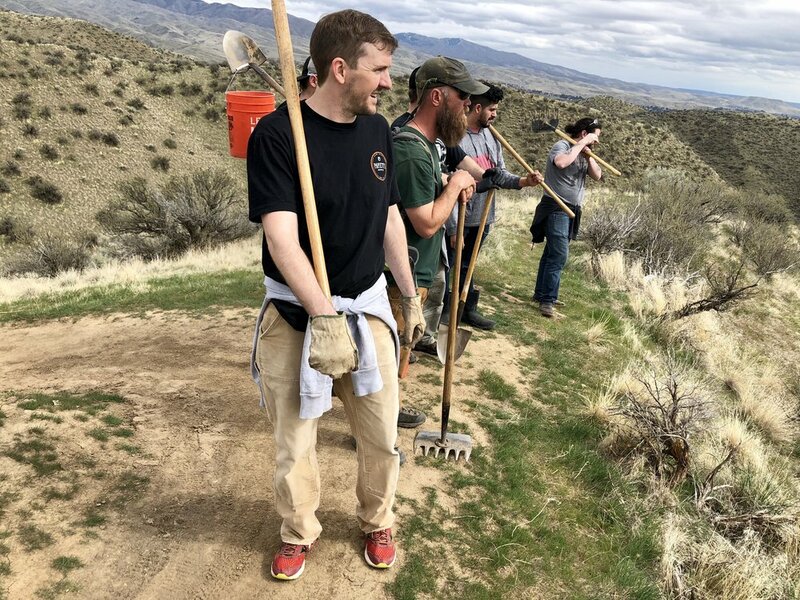 We got our hands dirty and brought the trails back to good-lookin' shape, with the drainage well supported. We then ended the afternoon with a couple beers, of course.